Easter Sunday is looming which means right after we observe our faith on Maundy Thursday and Black Friday, we can begin getting ready for a traditional Easter brunch party. 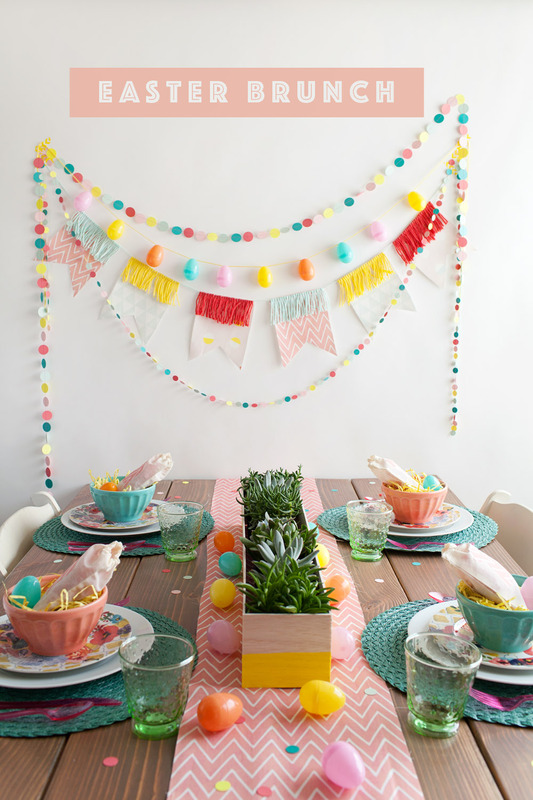 Are you tasked to host this year’s Easter brunch? Is this your first time? Are you pressured because the past hosts have been excellent at prepping food, decorating their homes, and finding creative ways to invite people to their brunch? Don’t fret. We’re here to tell you one thing: Easter brunch is all about gathering together to enjoy the end of a long break (for many Christian faithful) and enjoying the food prepared by a gracious and generous host. If your invitees are people who are dear to you and who love you, they won’t mind even if you just serve them deviled eggs. They’re going to love your company, no matter what. If you want to be extra creative in inviting people over for Easter party, you can buy Easter egg containers from your local party supply store. You can then print out invitations from your home printer, roll them up really tiny, and put them inside the Easter eggs. You’ll find these Easter egg containers from party supply and toy stores. They are the same plastic eggs that our kids love to play with. Aside from the invitation, you can fill up the containers with glitters or potpourri or shredded crepe paper. You can be as creative as you want and people will appreciate the energy and effort you put into the invites. Are your invitees sweet-toothed? You can send over chocolate Easter bunnies and stick the invitation with a ribbon to it. This is also a great way to give a present to your friends and families, especially those who won’t likely be able to attend the brunch party. Though they’ll feel bad to miss out on your Easter host duties, they’ll love the idea of still getting a little something from you. If you’re good at baking, you can make bunny cupcakes, too, and put the invitation right smack in the middle of the cake. Imagine just how surprised your guests would be to bite on the cupcake and find an invitation just lounging around in chocolate goodness. Okay, if you don’t have the time to be creative with your chocolates, cupcakes, and Easter eggs, you can always just make a digital invitation and post it on social media. If you’re wary about other people finding out about your party, make sure the event is private and that no other people can see it except those who have been invited. You can post updates about the party on the page to keep your potential guests abreast about what’s happening. If you’re having a potluck party, the page is also going to be a great venue where everyone can share what they’re bringing so no one brings the same dish. Facebook, of course, is the easiest and most comfortable platform to use for inviting guests.